Training includes: staff hiring and management, inventory planning and control, merchandising and display, advertising and marketing programs, hands-on in-store, operational support. 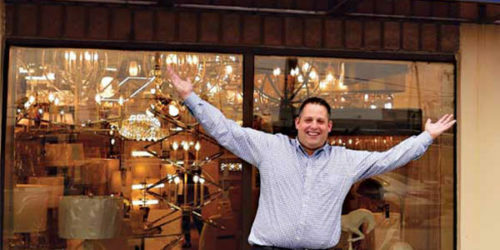 Canada's largest chain of residential lighting stores is expanding! Living Lighting features high-quality and fashionable lighting for the home. Our franchise program offers: management training, site selection, leasing and store construction, complete store setup, volume purchasing power, marketing programs and most importantly ongoing support. Every home, apartment and cottage requires lighting products. New homes, renovations and redecorating projects all need: new lamps for a living room, a chandelier for the dining room, task lighting for the kitchen or lighting to enhance a home's exterior and landscape. Lighting completes the setting and provides the magic to create the right mood. Call or e-mail us and see how you can be a part of this unique, exciting and profitable business!